Top shelf holds up to 400 lb. of weight and bottom shelf holds up to 260 lb. 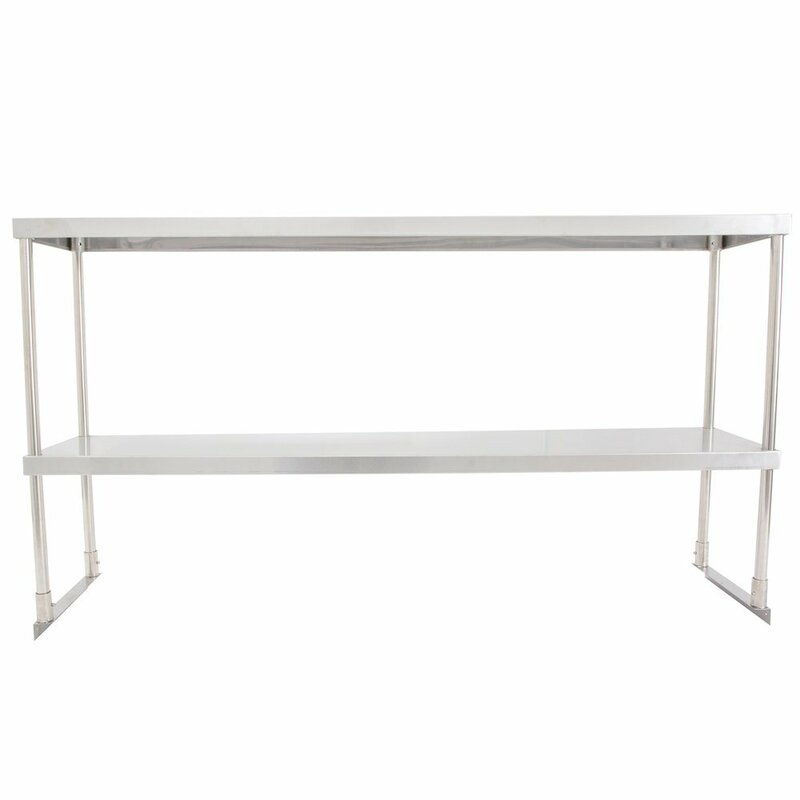 Bring added storage space and organization to your kitchen with the Regency stainless steel double deck overshelf! 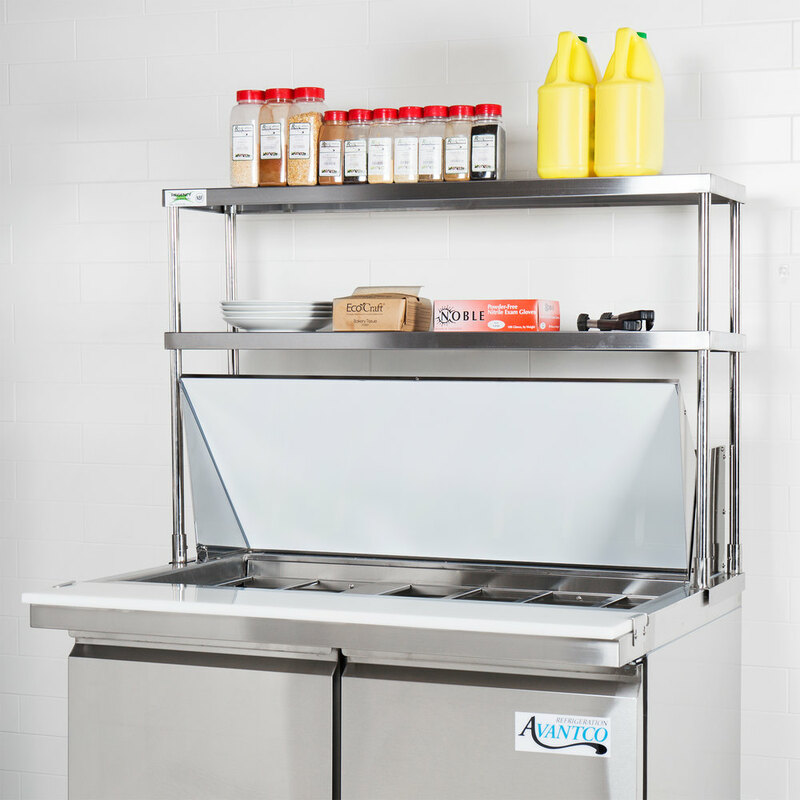 This overshelf has two storage shelves to maximize the available space of your kitchen. 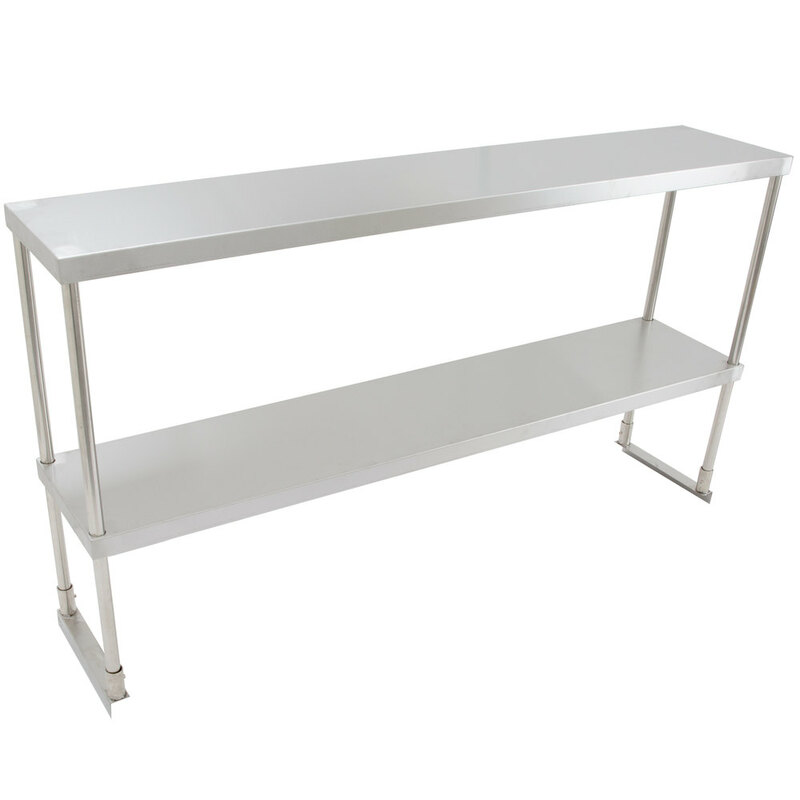 Its stainless steel construction ensures long-lasting durability to stand up to repeated use, and the whole shelf easily mounts to the end of your table using the "L" bracket, 10 screws, and wrench provided. 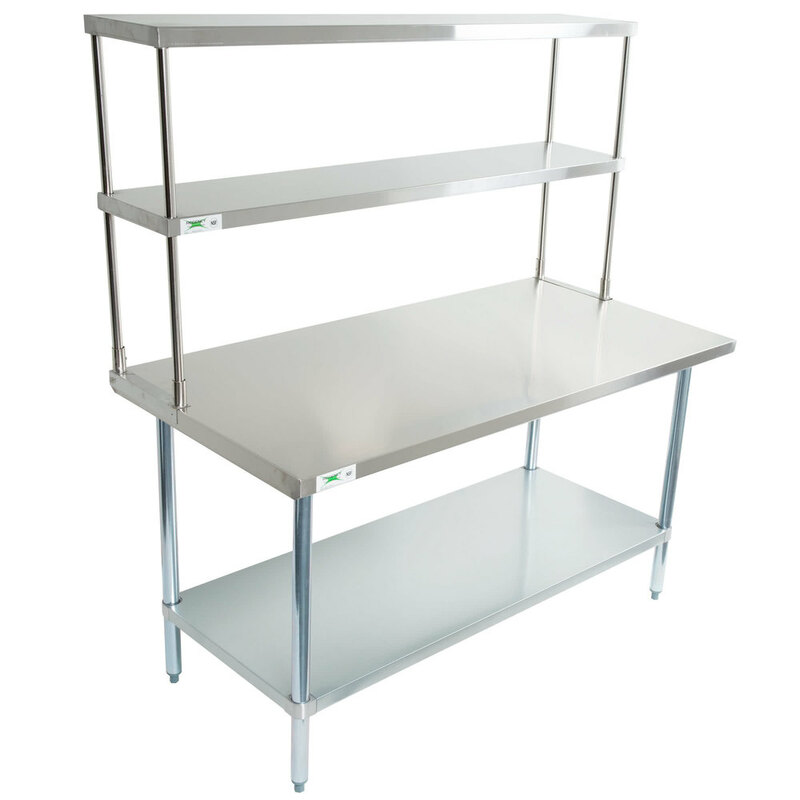 The shelves are made of 18 gauge, type 430 stainless steel for excellent corrosion resistance and durability. 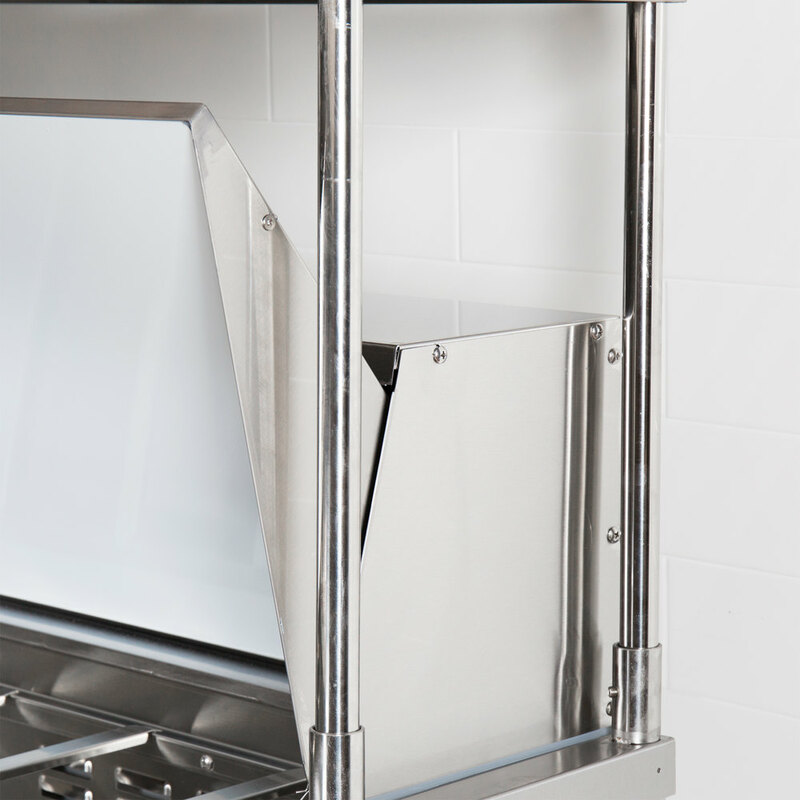 The double shelf design adds more capacity than a single shelf and allows you to better organize your spices and seasoning, pans, cotton towels, oven mitts, and other frequently use cooking and preparation items. 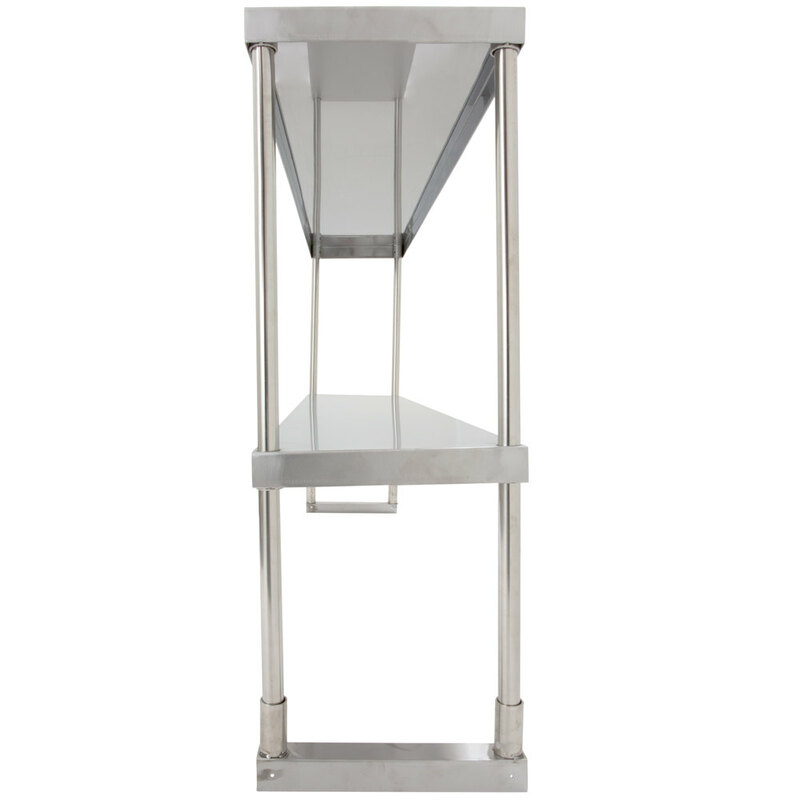 For great versatility, the top shelf holds up to 400 lb. of weight, and the bottom shelf holds up to 260 lb. This overshelf also ships knocked down to reduce the cost of shipping. Top Shelf Capacity: 400 lb. Bottom Shelf Capacity: 260 lb.